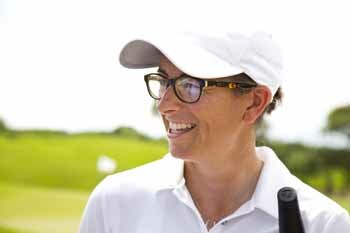 Scottish Golf’s performance director, Clare Queen, is responsible for overseeing all training and competition programmes across Scottish Golf, particularly around national teams. Players join the performance programme from 12 years of age and the performance strategy is ultimately designed to assist the most talented players in fulfilling their potential. The programme gives Scottish players an opportunity to test themselves against their peers across the UK, Europe and beyond. In short, her role is to help players build-up to and ideally make the transition from being a talented amateur player into a professional. This role has become more prevalent in the last decade – why is that? Sport has evolved and become more sophisticated with the use of data and also a closer relationship with science and psychology. The modern athlete realises that pure talent is not enough but in order to be world class in any sport they have to complement that talent with physical and psychological improvement. It has obviously become more widely known and accepted through the likes of Sir Dave Brailsford at Team Sky – sports across the board have now embraced a high-performance culture. The small margins between success and failure are no more apparent than in an individual sport like golf, a game of millimetres, so it is incumbent on us at Scottish Golf to work with players to equip them with the skills and experiences to meet and overcome the challenges on the path to professional golf. How important is it to understand all aspects of the modern athlete beyond their core ability? The modern athlete has to be able to cope with the mental and physical demands of their sport. Preparation is vital and the core skill – in golf’s case the ability to hit the ball accurately and putt – will only take you so far without the temperament and commitment to practice. A player’s lifestyle, diet and commitment to health and fitness are all vital ingredients to success and it is rare to have success without a rounded commitment. How big a role does psychology play, especially in such a competitive and individual sport such as golf? Ultimately, this is the thing that makes a difference between someone being good and very good. Mental skill is needed on the course, golf will constantly test your resilience and you have to be prepared to deal with the ups and downs this career brings. You lose more often than you win in golf, and the best players are the ones who learn how to deal with the disappointments this career can bring. We do have psychologists who work with our players through the Sportscotland Institute of Sport, but some of this is taken on by our own coaches and staff at Scottish Golf. It’s so important to check in with players, make sure they’re getting on OK and feeling good on a daily basis and we have good relationships with our players which enables us to do this. What has been your journey to this role? I came through the Scottish Ladies Golf Association (SLGA) pathway and competed for Scotland and Great Britain before turning professional at the end of 2005. I played for seven years on the Ladies European Tour and then a combination of poor results and lack of sponsorship led to me making the decision to stop playing on tour and explore other opportunities in the sport. I took a job with Active Schools and worked there for several months, but then the opportunity came up to be performance coordinator at SLGA. I have a keen interest in golf even though I don’t play as often now, and I want to see players do well on the international stage, so I was drawn to this job as I knew I could pass on a lot of experience. Scottish Golf was then formed not long after, and I was delighted to have recently been made performance director. I didn’t consider a role like this before I got into golf and turned professional – you just think you’ll play forever. I’ve found a job that I love that’s still in golf and lets me stay involved in the sport, which is amazing. I’m very proud to be the first female performance director of golf in Scotland and I hope it gives other young girls inspiration and opens up more opportunities in the future for them. What challenges did you face on your own journey to the Ladies European Tour? My challenges were related to the mental side of the game – for me, one of the reasons I didn’t achieve what I wanted to when I was playing was down to my mental strength. I went through a period of losing sponsorship and money – this was tough and I found it difficult to play whilst worrying about that side of things. I also found the transition from amateur to playing professionally and travelling round the world tricky – you have to really look after yourself and be prepared for all the mishaps that come with that lifestyle. How can your experience help those aspiring to make the jump from amateur to professional? Hopefully I can help a lot in the sense that the players know I have gone through this journey, and that I understand everything they are going through at every stage. I know the challenges they’ll face, and it’s my job to prepare the players as best we can for those challenges. It’s not just about hitting a driver on to the fairway, it’s about managing a demanding lifestyle and I’m able to put myself in their shoes very easily. What areas do you believe need to be improved after your initial spell as interim performance director? We’ve identified that there is a lot of confusion around the pathway for young golfers in terms of coaching and competition, so a focus area over next two years is to look at simplifying the coaching and competition pathway so that it’s clearer for both parents and players. How important was ‘Women and Girls Golf Week’ in August? It was great – I absolutely loved reading all the stories from our clubs and members, and about the different roles women are involved in through the sport. 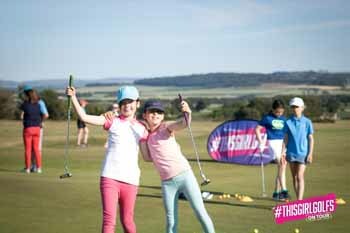 From volunteers, to paid staff, to players – the week opens up golf a little bit more and makes it more attractive to women and girls across Scotland. What would you say to anyone who is curious about golf but hasn’t yet picked up a club? Find a local club and give it a try. There’s Get Into Golf programmes at local clubs across Scotland, so look for one near you and get started. You’ll meet new people, learn with them at same stage and enjoy the social side of the sport that everyone should experience.